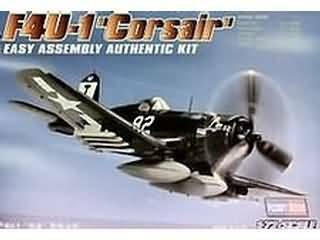 One of the classic aircraft of the World War II period, the Corsair was designed in 1938 to meet a USN requirement for a shipboard fighter. The distinctive inverted gull-wing was to provide sufficient ground clearance for the huge propellor attached to the Double Wasp engine. The XF4U-1 was first flown on May 29 1940. On October 1st, 1940, the aircraft became the first to exceed 400mph - achieving 404mph (646kmh). 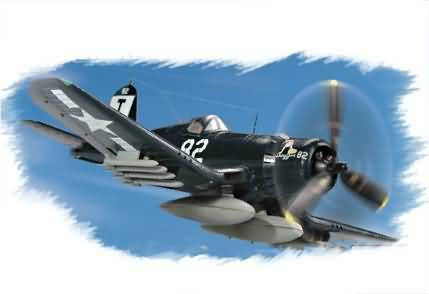 The aircraft entered service in mid-1942, and development continued through to 1952.